Kevin McCorkindale works with individuals and businesses to help them reduce their taxes, protect their assets from creditors and others, and plan for the distribution of their assets to their families and loved ones (during their lifetime and at their death). He does this planning through the use of wills, trusts, partnerships, and other business entities. He is uniquely qualified to do this work because, in contrast to many attorneys, he has an advanced law degree in taxation and thus understands all aspects of taxation, not just estate and gift taxes. Kevin received his law degree in 1982 from Washington & Lee University. He went on to receive a Masters of Laws in Taxation from the SMU Law School in 1983 and began his legal career with the tax planning section of the tax department of the Superior Oil Company™ in Houston. In 1985, after Superior Oil was acquired by what is now ExxonMobil™, Kevin joined a law firm in Dallas and has continued to practice law continuously in Dallas and Plano. 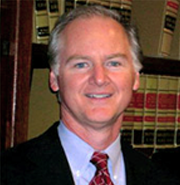 Since 1994, he has been with the law firm of Kasselman & McCorkindale, with offices in Dallas and Plano. Kevin's office is in Plano. Conrad Kasselman focuses his practice in business and commercial matters, emphasizing new business formation (including corporations), limited liability companies and partnerships, business transactions of all types, and all aspects of business litigation (including contract disputes, internal business disputes, certain aspects of employment litigation and the prosecution and defense of business torts of various types). Mr. Kasselman's extensive litigation practice is in both the state and federal courts, where he has "first chair" experience in both short and multi-week trials in a wide range of business-related issues. Mr. Kasselman has particular experience in representing licensed Texas motor vehicle dealerships of all types. His representation of dealership clients includes all aspects of litigation and practice before administrative agencies, as well as business planning, contract preparation, real estate and lease negotiations, business financing and loan documentation, and all aspects of motor vehicle transactions. 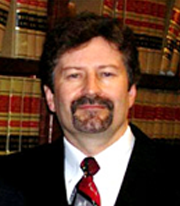 Mr. Kasselman graduated of the University of Cincinnati College of Law, having earned the degree of Juris Doctor (J.D. ), and was first licensed by the State Bar of Texas in 1981. He has practiced law in Texas at all times since that date and is also admitted to practice in the United States District Court for the Northern District of Texas and the United States Court of Appeals for the Fifth Circuit, sitting in New Orleans. He started his legal career in Fort Worth, Texas and began practicing from Dallas, Texas in 1987, at a law firm where he became a partner and met Kevin McCorkindale. In 1994, Mr. McCorkindale and Mr. Kasselman decided to form what has become Kasselman & McCorkindale and they have practiced together ever since.